The project was split over two sites in central London. 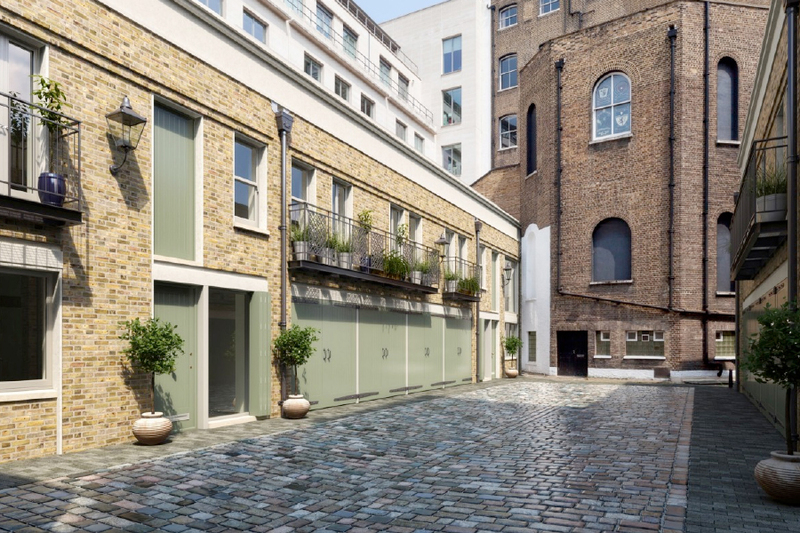 The first involved the partial demolition of existing mews houses at Russell Court and reconstruction to provide new mews properties with basements. The second site involved the extensive refurbishment of a six storey historic mansion house at Cleveland Row to create a high end residential development including top floor penthouse apartments. Fairhurst were appointed by The Crown Estate to carry out all civil and structural engineering design on both elements of the project. Fairhurst were appointed to carry out all civil and structural engineering design associated with the proposed developments on both sites. For the new mews houses at Russell Court Fairhurst designed the intrusive site investigation to assess the ground conditions for the new basements and carried out the structural design associated with the sub-structure and superstructure of the new properties. The refurbishment of the historic mansion at Cleveland Row involved a structural evaluation of the existing structure to assess the implications associated with removal of the load bearing walls to achieve the proposed architectural layouts. In addition an engineering evaluation was needed to understand the implications of removing the top two floors of the building in order to form the new penthouse apartment and to inform the design of the new floor structure and strengthening to the existing building.